This problem set was published in March 2015. The distance measurement used in the problem below is also from that time. 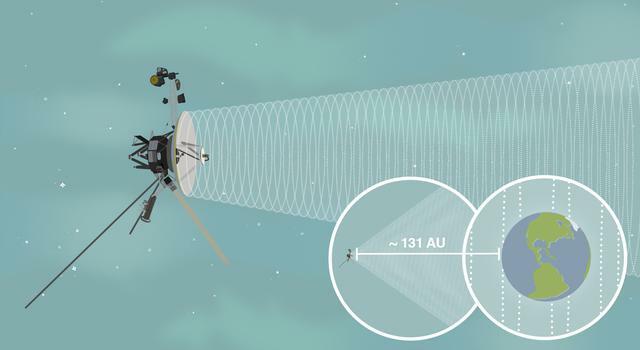 To see where Voyager is now and get an updated distance measurement, visit the Voyager website. The "Pi in the Sky" math challenge gives students a chance to find solutions to real-world problems all while using math and pi just like NASA scientists and engineers. 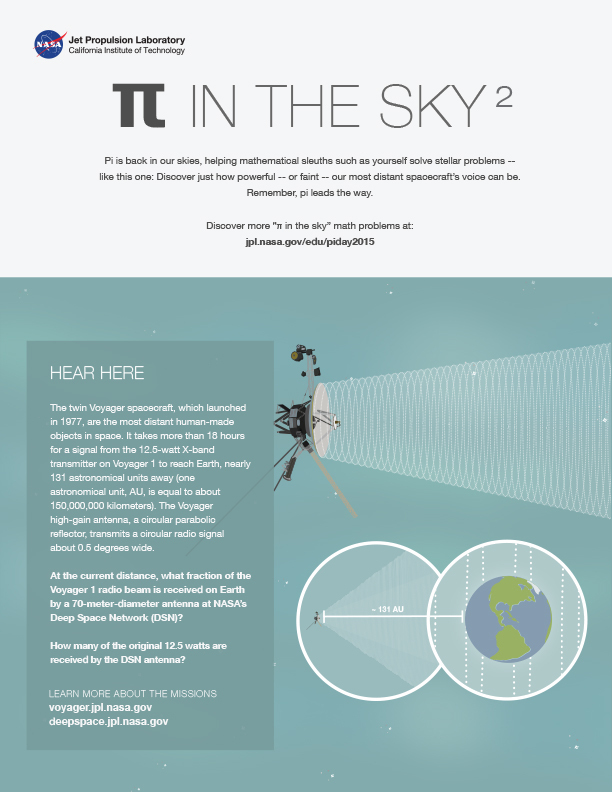 In this problem from the second installment of the set, students use the mathematical constant pi to determine what fraction of a signal from Voyager 1 – the most distant spacecraft – reaches Earth. 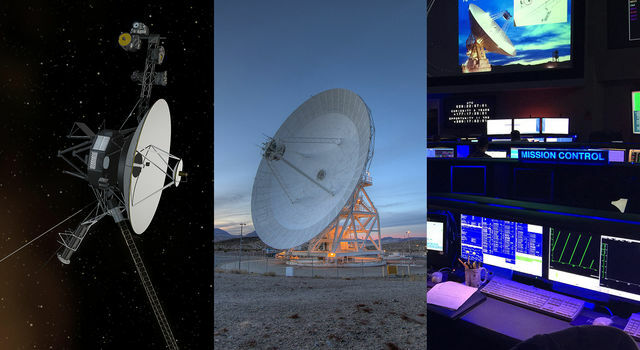 The Voyager spacecraft are the most distant human-made objects. Launched in 1977, they were designed to explore the four outer gas planets in our solar system. 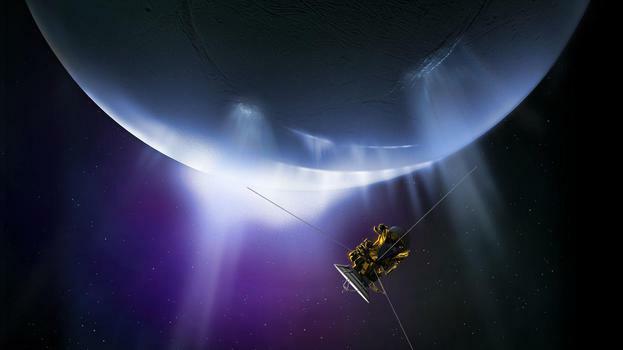 Since completing their planetary flybys in 1989, they have been journeying toward the farthest reaches of our solar system. At the time of this writing, Voyager 1 is nearly 21 billion kilometers (almost 13 billion miles) from Earth and Voyager 2 is more than 17 billion kilometers (more than 10 billion miles) away. The twin spacecraft communicate by sending a low-power (12.5 watt) radio beam to Earth, where the signals are received by massive antennas, some as large as 70 meters in diameter. Because the radio beam spreads as it travels the distance to Earth, only a fraction of the 12.5 watts actually makes it to the antennas. How much of that signal makes it to Earth? Students can use pi to find out. How many of the original 12.5 watts are received by the DSN antenna?